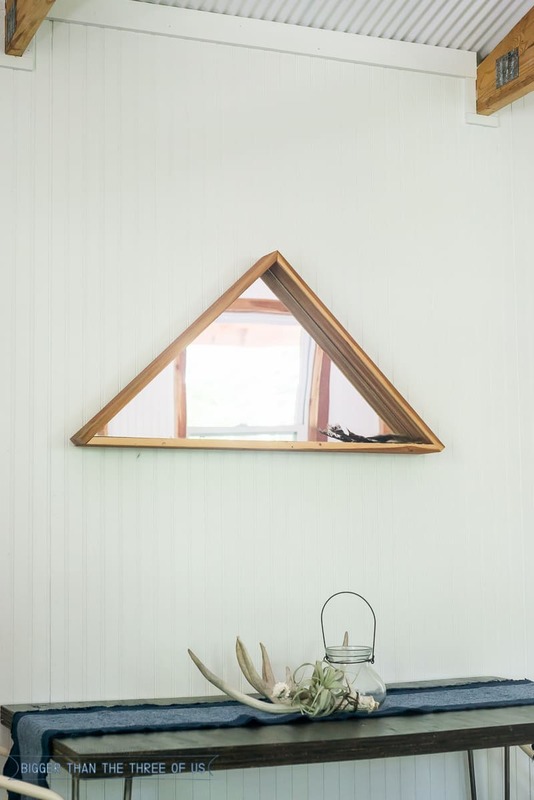 I actually came here today to share a super simple project with you… a DIY Triangle Mirror. I really love how this project turned out and think it would be so simple to customize into other shapes or other dimensions in general. Pretty cute, right? It’s especially cute when you hear how much I paid for the supplies… $0! I’ll share how I made it for nothing but I’ll also share tips and tricks for you to get what you need to make one as well. 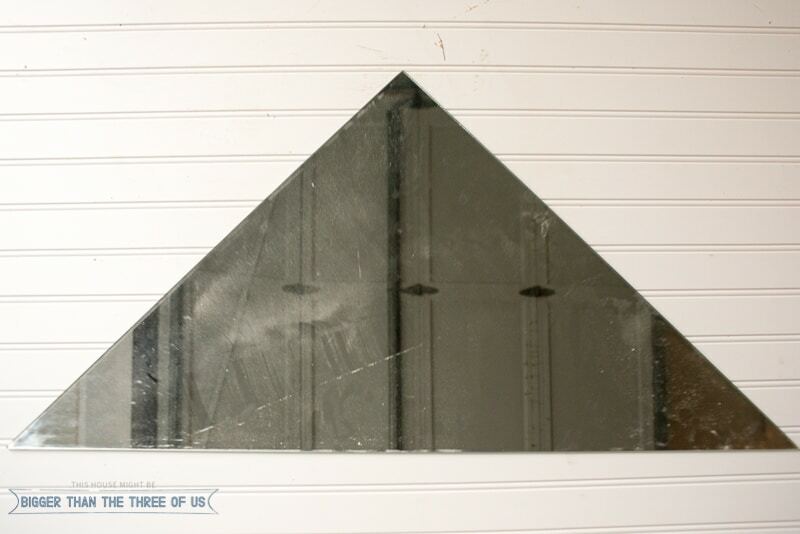 I randomly had a triangle mirror. 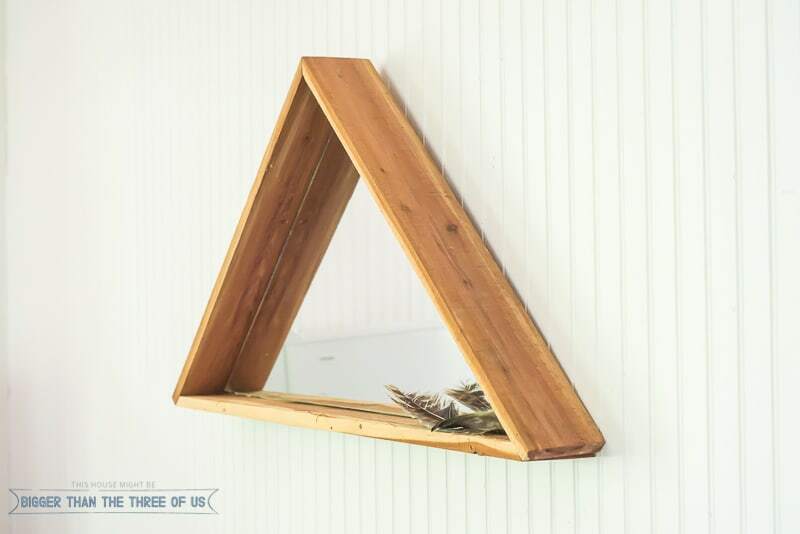 I’m working on updating a corner built-in in our living room and it had a few mirrors in it that are shaped like triangles. So, I had a shortcut. BUT, you can totally do this. 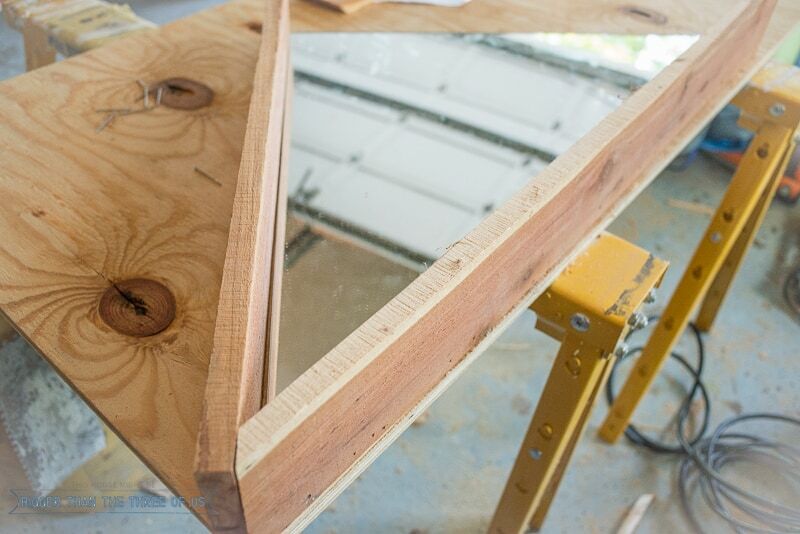 Here’s how: Pick up a mirror (go to Habitat Restore or grab one at a garage sale). You can find larger one’s at both places for just a few dollars. Then, pick up a glass cutter. You can get these online for about $3! 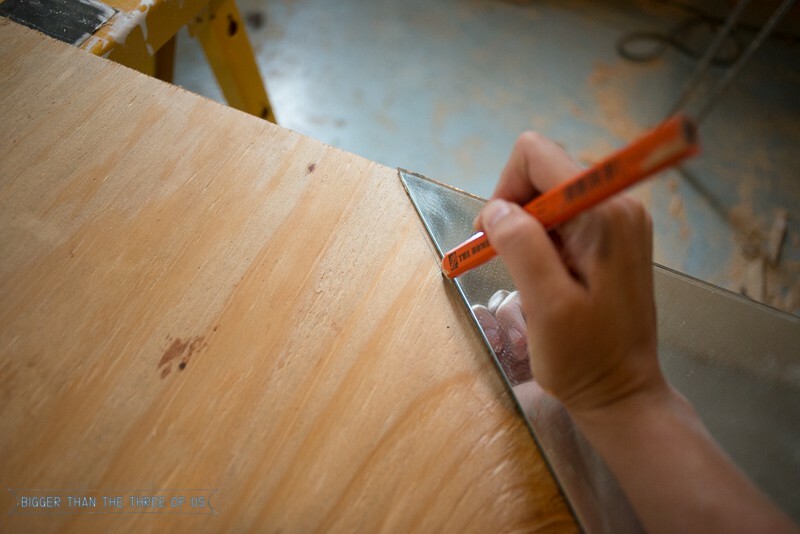 Mark your lines on your glass and cut following the instructions on the glass cutter. Or, use this tutorial for a piece of glass that you already have (whether that be a square piece or another shape). 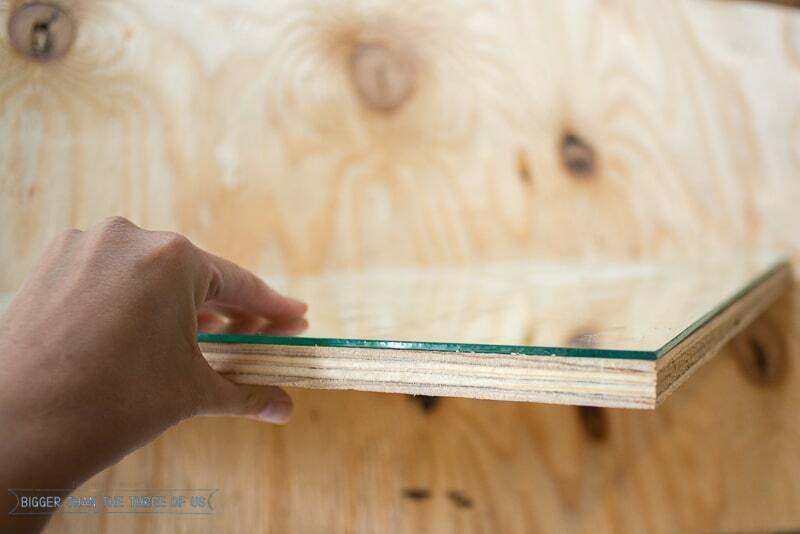 Lay your mirror on your plywood. You want the plywood to mimic the shape of your mirror. 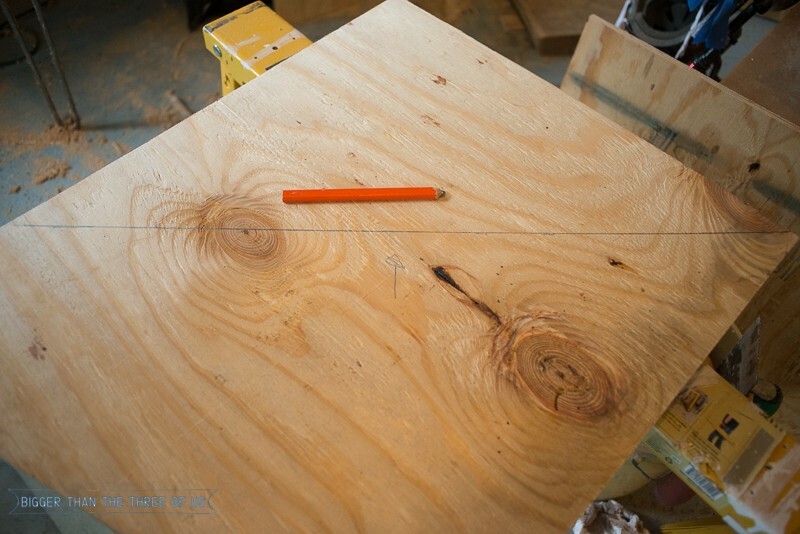 Draw a line on the plywood for where you need to cut. 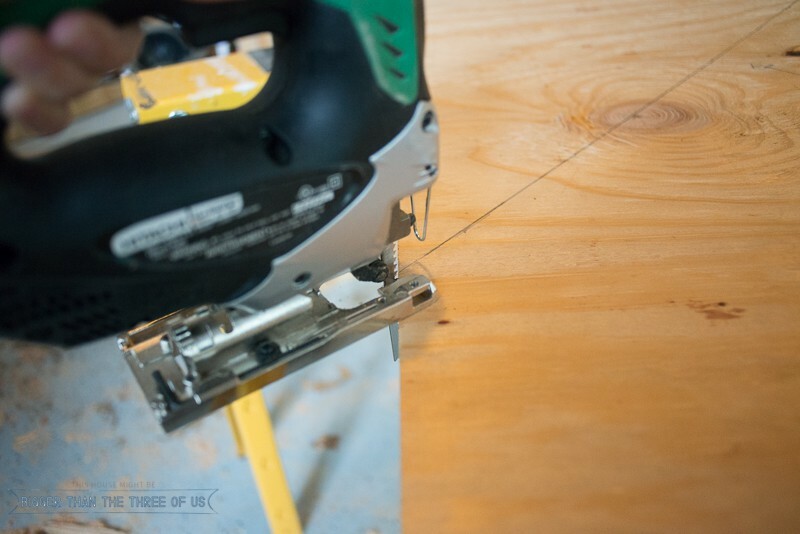 Use a jigsaw to cut your shape out of the plywood. 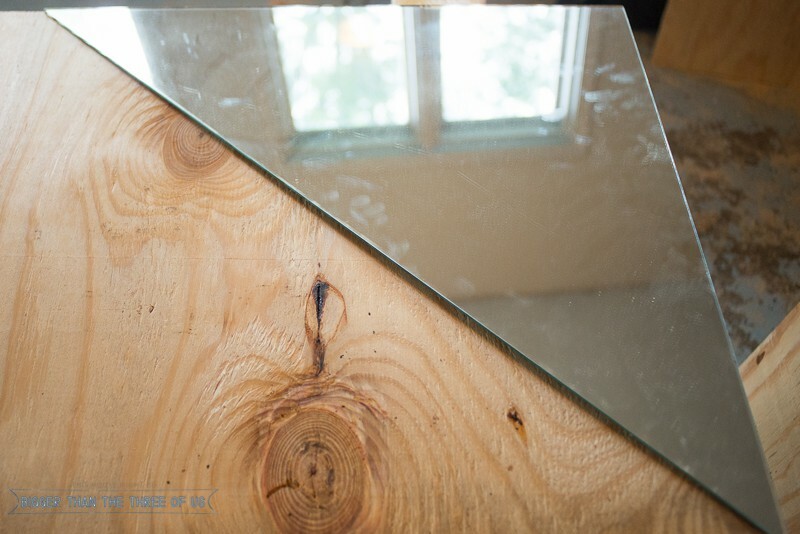 Apply construction adhesive to the plywood and then place mirror on top. Let dry. 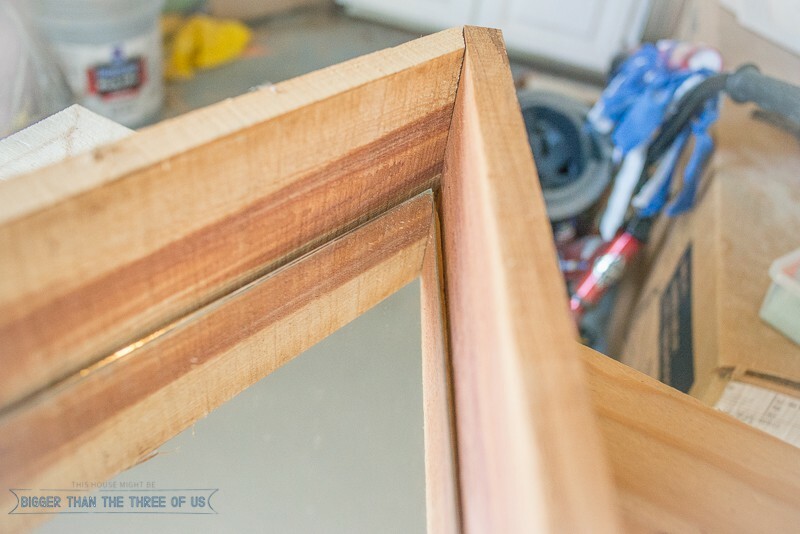 Grab your scrap wood to make your frame. I used rustic cedar. I think you could go with lots of different options here, so just pick an option that works with your decor style. I like to start on the bottom of the triangle. I cut a 45 degree angle on one side and then take the board to the mirror/plywood piece and use a pin to mark where my next 45 degree cut should be. Basically, you want the cuts to be lined up with the mirror. My bottom piece had 45 degree cuts on both sides. The top side pieces had straight cuts on the the bottom (where it matched with the 45 degree cut). 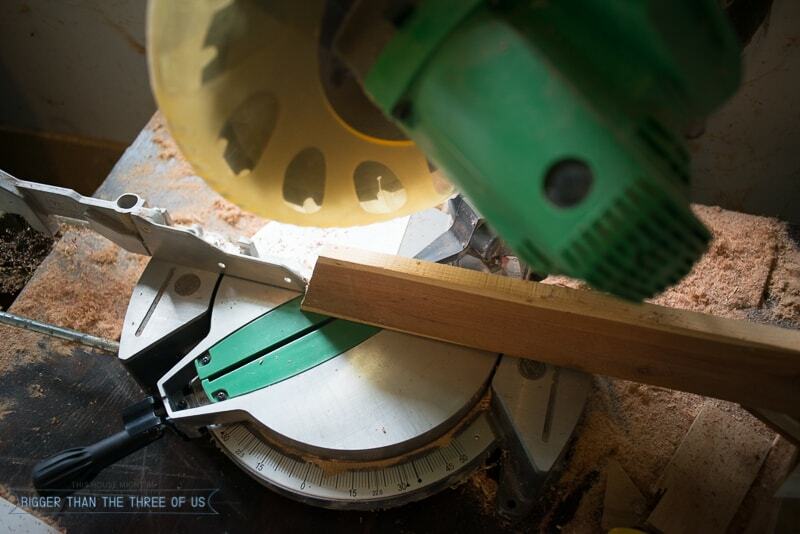 The top side of both pieces have 45 degree cuts so that they come together. 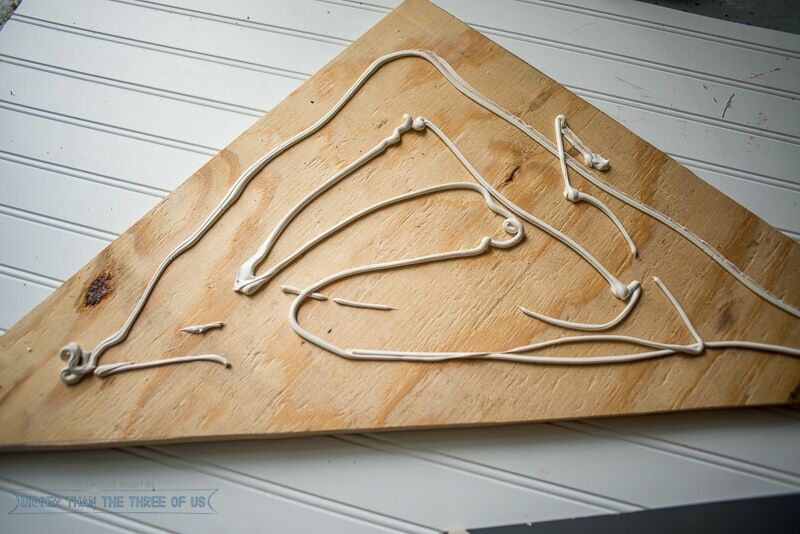 Nail in the frame to the plywood to create the triangle. Attach a picture hanger on the back and you are good to go! I think this turned out so cute! It’s a bit too rustic for my house but my house was never the intended location. Can you guess where it’s at? You can use this idea to make lots of different things. I think the triangle itself without the mirror would be pretty cute as well. I could totally see a plant hanging out in the middle of the frame, couldn’t you?